I have a friend, a crocheting friend, whose mother-in-law has been giving her very old crocheting magazines. I can crochet but mostly I choose not to. This hasn’t stopped my crocheting friend and me from giggling over these old magazines. Not only is the crocheting amazing (think barbie clothes, ponchos, animals, etc. ), the models look like real people – it’s kind of fun to see. I know. It’s weird. Looking at old crocheting mags and laughing. But I promise, you’d giggle too. So, it was all the more funny to me when I was waiting at the fabric store (had to buy fabric for a school project for the oldest) and I saw this magazine. 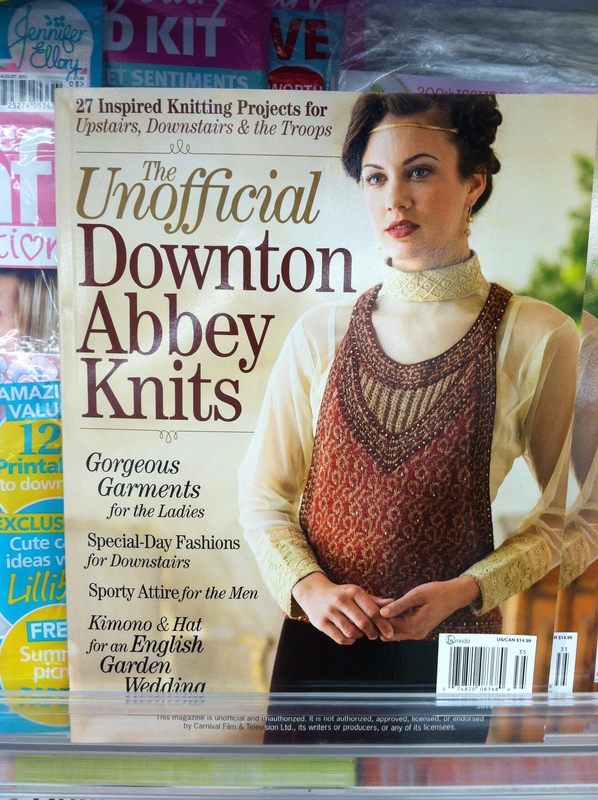 The Unofficial Downton Abbey Knits. Are you kidding me? How flipping giggle-worthy is this? Guys! You could look like you are on Downton Abbey – if only you know someone willing to knit for you! Pure awesome. Hoping for more unadulterated awesome, my eyes landed here. Okay. Yeah. This one’s just freaking me out. 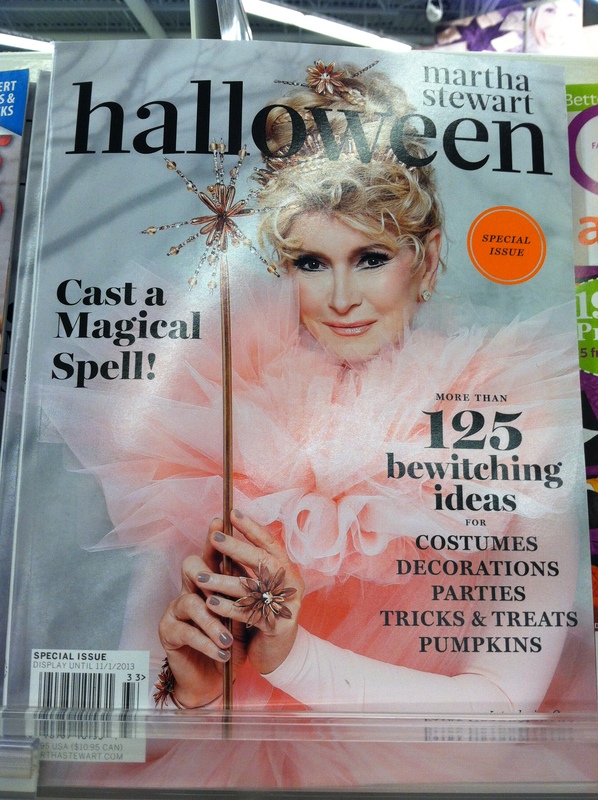 Martha has never looked scarier than when she is dressed up like Glenda the Good Witch. Am I right? Stay far away from those 125 bewitching ideas if this is a possible outcome.